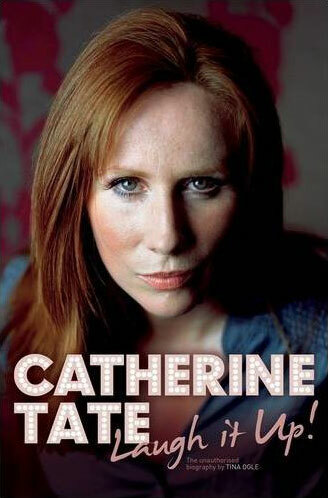 Note: Unauthorised biography of the comedienne and star of Doctor Who's 2008 series. Love them or hate them, the controversial characters she created for television — from truculent teenager Lauren 'am I bovvered?' Cooper to foul-mouthed grandmother Nan Taylor — serve to showcase the extraordinary talent of Catherine Tate. Her versatility, however, has taken her far beyond The Catherine Tate Show to roles with the Royal Shakespeare Company and to the far reaches of the universe with Dr Who. Note: Exact release date unknown but sometime late in 2008. 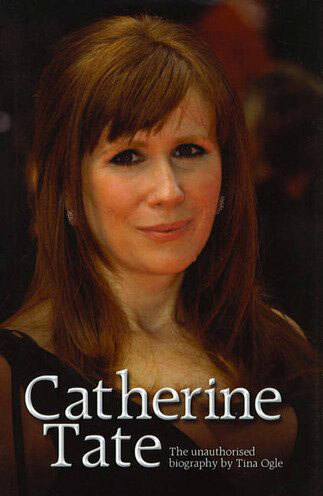 Despite the different cover design, ISBN and title ("Catherine Tate: The Unauthorised Biography"), this appears to have identical text to the original edition. Even though the publisher appears different, in fact Sevenoaks and Andre Deutsch are both imprints of the same publisher — Carlton Books. This fact suggests that perhaps the original edition might have attracted the attention of Ms. Tate's lawyers as having too much of a resemblance to a self-penned autobiography, perhaps leading to this hasty reissue that makes the "unauthorised biography" tagline more prominent.